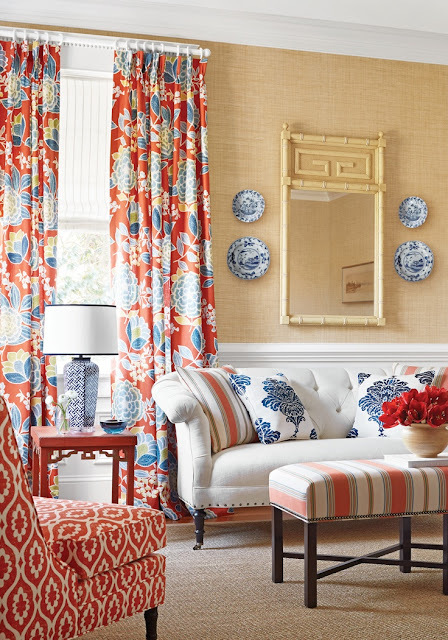 This room decked out in Thaibut patterns - Sulu curtains, pillows in Mandarin, and side chair in Lucas - creates a floral, feminine take on a more traditionally male palette. 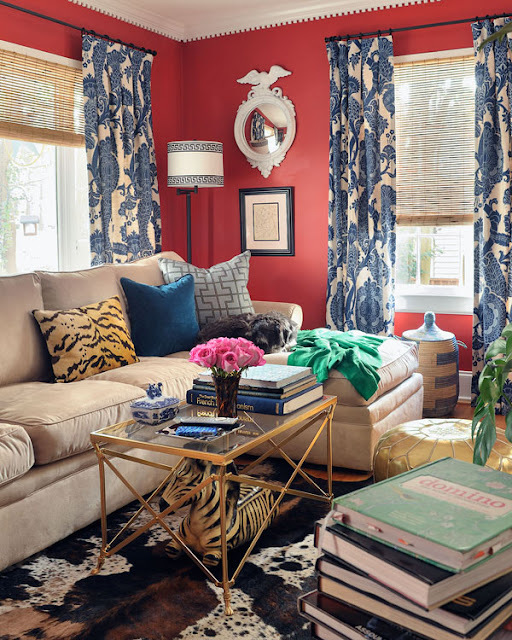 Furbish Studio's living room blends Americana with Africana - eagle topped mirrors are right at home with zebra, cheetah, and tribal baskets. How light and lovely is this beach cottage room by Mary McDonald? I have a very similar set of black bamboo arm chairs, and they usually look very heavy, but this is a fresh way to use them. 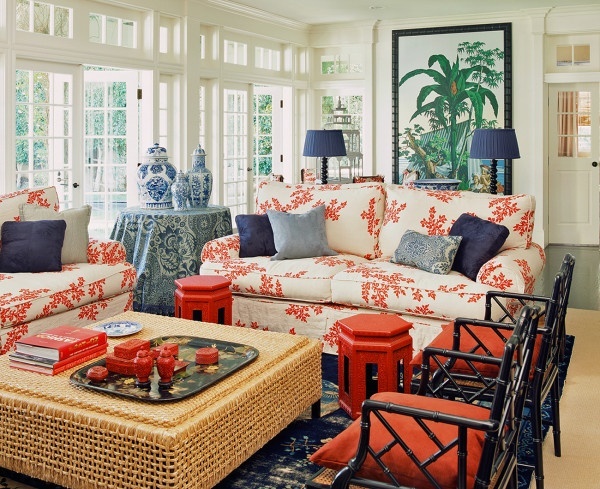 Here's another beach cottage spread, in the Hamptons, by Amanda Nesbit (via Halcyon Style). 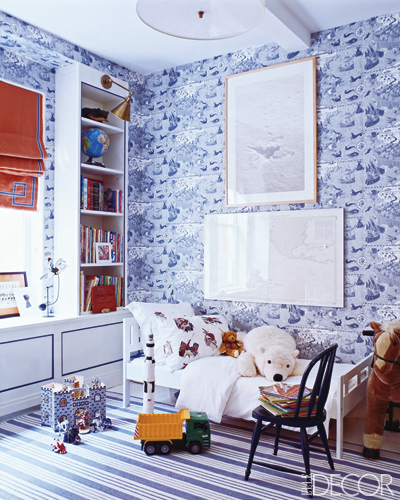 Red, white, and blue gets a light touch in this little boy's room featured in Elle Decor (via Peppermint Bliss). 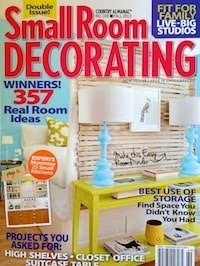 Love all these -- had to pin!! 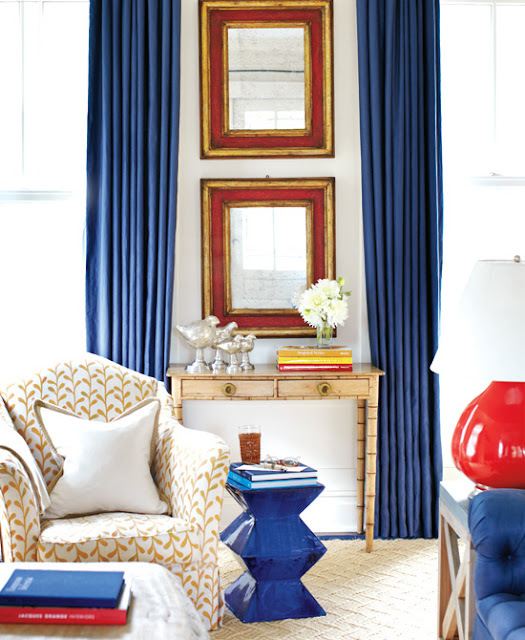 Any idea where I can find the blue and white drapes in the second photo? I love them! Where can I find the striped fabric on the stool in the first photo, love it!